Instructions for Conair/Weight-Watchers WW11D Scale | Eat Regularly! PRECAUTIONS: Floor must be level. 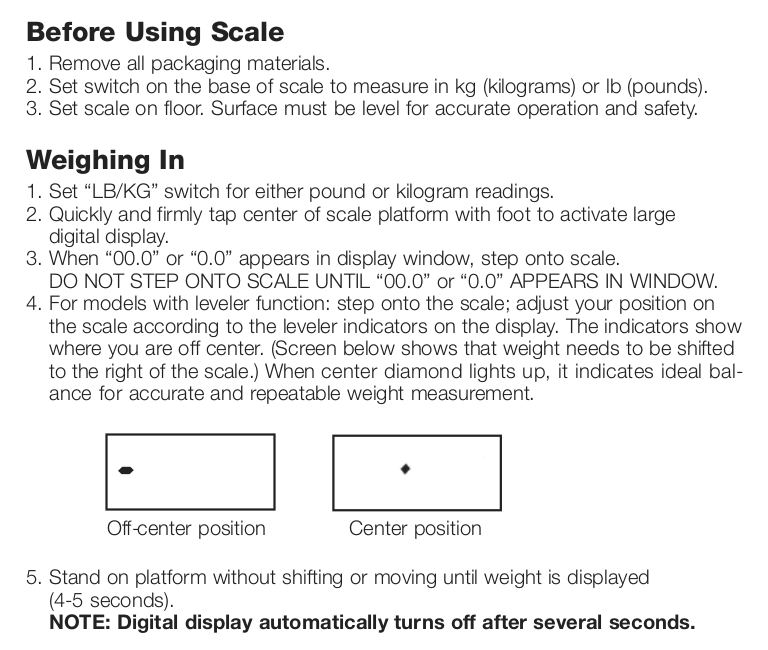 DO NOT STEP ONTO SCALE UNTIL ZERO APPEARS IN THE DISPLAY. CALIBRATE: Tap center of scale to turn it on. Wait for “00.0” or “0.0” to display. COLLECT DATA: Step onto scale. Stand on platform without shifting or moving until weight is displayed.